On January 11, 1913, the largest curling facility on the planet opened in Duluth at 1338 London Road. It was the completion of a vision many Duluthians had shared since 1891. 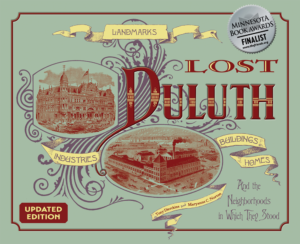 Beginning in the 1880s, as Duluth began another boom cycle thanks to the developing grain trade, it attracted many idealistic young men from Scotland and Canadians of Scottish ancestry. By the end of the decade, Hunter’s Park was being developed along Woodland Avenue, and its early population was almost entirely made up of those of Scottish descent. Consequently, the Zenith City became a natural home for the Scottish sport of curling. The Duluth Curling & Skating Club organized in 1891, according to the Duluth News Tribune, “through the efforts of Capt. F. N. LaSalle.” Its first officers, elected three days later, included plenty of Scots: H. Hardan, Colin Campbell, Alec McRae, William McCulluch, A. S. Wilson, Walter Brown, Ronald Hunter (founder of Hunter’s Park), R. J. McLoed, G. G. Barnum, and James “Jimmy” Moon. The Club began building Duluth’s first curling rink on the foundation of Elevator A’s ruins at Third Avenue East and Michigan Street. It was little more than two retaining walls and a tent. The Club had recently acquired sixteen sets of curling stones, which Moon—a champion bagpiper—claimed were “bonnie ones.” But the new rink wasn’t quite ready. Anxious to throw those new stones, curlers cleared snow on St. Louis Bay at the foot of Eighth Avenue West “on the slip behind the lime kiln” (just west of today’s BayFront Park stage) so they could play a few games on the Yule. So they cleared some snow on St. Louis Bay at the foot of Eighth Avenue West and threw their first stone on Christmas Day 1891. The Third Avenue East rink hosted its first game on New Year’s Day, 1892; it was destroyed in a blizzard just months later. For the next twenty years curling in Duluth took place in several other buildings, including a facility at Wallace Avenue and Arrowhead Road from 1892 to 1896. It then played in a warehouse for two seasons until 1897, when the club built a rink at Third Avenue East and Michigan Street—near the location of the short-lived 1891 facility—and played there until the construction of its grand facility next door at 1338 London Road. Designed by Duluth Architect Frederick C. German—at a cost estimated at $125,000 or $2.8 million today—the Duluth Curling Club was the largest facility of its kind in the world when it opened in 1913. Its lower level boasted twelve sheets of ice and seating for three thousand spectators. The second level was open to ice skating and hockey in winter and roller skating in summer. The club had two kitchens, several dining rooms, a lunch counter, locker rooms, and a manager’s living quarters. The new facility had its unofficial opening on the night of January 11, 1913 (it was formally dedicated February 22, 1913) after workman spent the previous 24 hours working non-stop to complete the building and lay down the ice. Over 2,000 people attended the opening—all of them either Curling Club members or those who had claimed a ticket for the event. There were curling and hockey exhibitions and the second floor was opened for ice skating. The Third regiment band provided music. The first official curling match was scheduled for January 17. 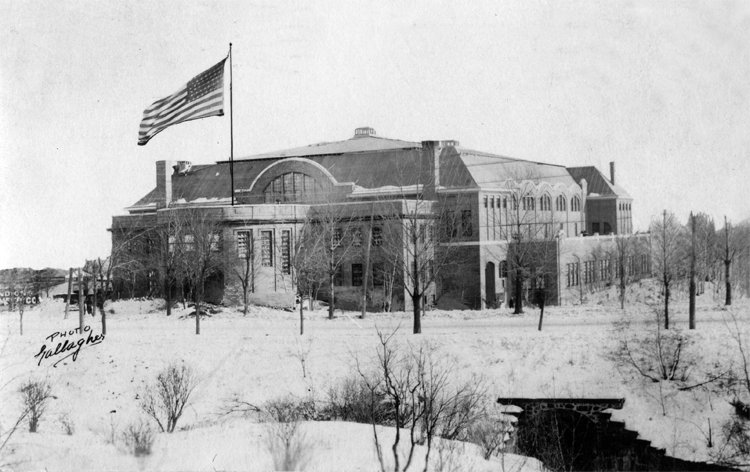 The 1913 facility served Duluth’s curlers and many of its hockey players until 1976, when the Duluth Curling Club moved into new facilities at the DECC’s Pioneer Hall. It is the largest curling rink in the world, and the Duluth club itself is second only to the St. Paul club as the largest curling club by membership. Duluth won the men’s national championship in 1964 and 2009 and the women’s in 1984. Its junior women’s team was best in the nation in 2004 and 2007, while the men’s junior team won national championships in 2006, 2007, 2008, and 2009. Hibbing Curling Club president Francis “Fran” P. Befera was inducted in the Curling Hall of Fame for his efforts to build the 1976 facility in Duluth. After it closed, the 1913 Curling Club became derelict. Uncared for, it was soon the site of unauthorized gatherings of young people, who used it as a place to party. Vandals routinely broke in, and vagrants used it as a place to sleep. An arson fire in 1979 had caused $8,000 worth of damage. In the early 1980s, the Curling Club was looking to sell the facility. But, according to club president Fran Befera, because plans for the extent of the I-35 expansion were incomplete , the club “couldn’t sell it, build on it, renovate it or use it.” Once the highway plan was extended to 26th Avenue East, the Highway Department would acquire the property. The old Curling Club was destined for the wrecking ball. But fire beat the wrecker to the punch. The building was lost in a “spectacular” blaze on June 3, 1984—authorities suspected arson. The fire was first reported at 2 a.m. by an employee of Perkins, then located just across the street—but fire inspectors estimated it may have already been burning for “two or three hours. Every firefighter on duty in Duluth arrived to fight the blaze. By 2:15 it was engulfed in flames and couldn’t be brought under control until 5 a.m. Assistant Fire Chief James Helm said “It was one of those buildings that was just waiting to go.” The building wasn’t insured, but had been mortgaged for $350,000 to help build the new DECC facility; a 1978 appraisal valued the facility at $534,000. The ruins were demolished. The space on which it stood is now a parking lot next to Leif Erikson Park’s Rose Garden.